Retweets are great, but raising money & awareness for mental health is amazing. So, let’s make this crazy idea worthwhile. 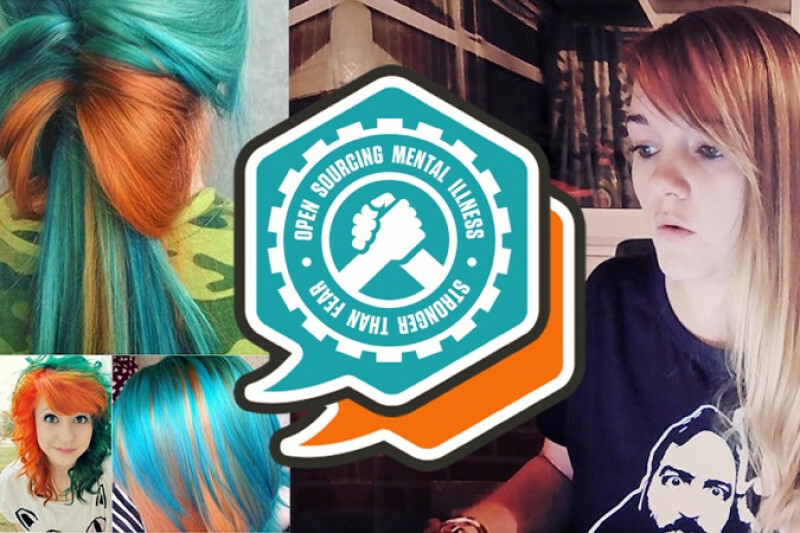 I will halve that 10,000 and if we can raise $5,000 for Open Sourcing Mental Illness by April 8th, 2018, I Will Dye My Hair Orange & Teal For Magento Imagine. So if you were going to retweet, donate €/$/?/£1 instead. Or better yet €/$/?/£10 or even €/$/?/£100! Whatever you can, however you can. Magento has pledged to match pound for pound any and all additional donations, before April 8th, up to £2,000! When you are experiencing a mental health problem, supportive and reliable information can change your life. Open Sourcing Mental Illness is a non-profit dedicated to raising awareness, educating, and providing resources to support mental wellness in the tech and open source communities. Including the Magento Community. It is estimated that 1 in 6 people in the past week experienced a common mental health problem and even in a community the size of ours, isolation is not uncommon. This Magento community that we are a part of is an incredible one. It is full of the most hard-working, passionate & kind-hearted folk I have ever met. There are over 290,000 members on the Magento Community Forums, the annual Imagine conference pulls in a crowd of 3,000 attendees along with countless other events across the globe! In short, this community is huge and extremely diverse. We speak all languages, come from all walks of life, experience everything this world has to offer, good and bad, and so you can join the conversation in any language, you can donate in any amount, from any currency, from anywhere in the world. We also love to communicate with each other! Be it on the #Magento & #RealMagento twitter hashtags, vlogs on YouTube, conversations at events, discussions on messaging platforms, support on the forums, and so on! We talk about development, we talk about security, we talk about marketing, we talk about pets, we talk about a variety of different subjects - but we rarely talk about our mental health. 80% of people suffering from mental health issues do not speak up and do not seek help. Let's provide hope, help & inspiration for those struggling with the stigmas & create a safe space to speak about mental illnesses. We can talk about all parts of our life – not just the orange, Magento moments. And that chance, however small, makes it worthwhile. Join David Manners & I for our 3-hour live stream where we will have amazing guests including volunteers from Open Sourcing Mental Illness to talk about the work they do and we will be sharing a few personal stories, resources, and advice. I would also like to extend a huge thank you to JH & the team there for their support. I am really proud to say I work for such an incredible company. I am using this GoFundMe page to raise money for Open Sourcing Mental illness. All proceeds will be withdrawn by myself and paid to this wonderful non-profit in full. This has been organized by myself & the team at OSMI. The process will be 100% transparent the entire time. We are over half way to $5k for Open Sourcing Mental Illness in just 7 days!